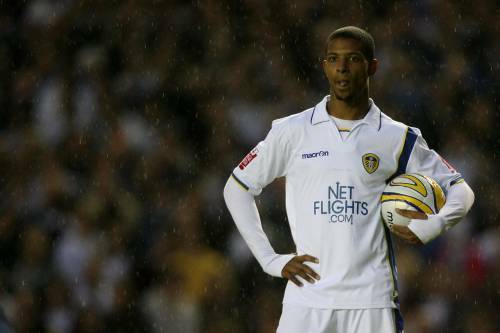 Everton have confirmed their capture of Jermaine Beckford on a free transfer after Leeds agreed to cancel the striker’s contract early to allow him to move on. The 26-year-old hitman, who has scored 85 goals in 150 appearances for Leeds (including the goal that clinched the Yorkshire side’s promotion to the Championship last season) has signed a four-year contract at Goodison. “I wish the season was starting tomorrow. I’ve been fortunate enough to score goals at the clubs that I’ve been at and hopefully I’ll be able to do that here as well. I hope I can hit the ground running. It’s going to be a test, I know that, but I am looking forward to it. I want to test myself at the highest level and luckily for me, David Moyes showed an interest in me, showed some faith in me and hopefully I can repay that. I’ve been impressed a lot by him. He seems like the type of guy who will sit down and tell you where you’re going wrong, what you’re doing right and what you might need to work on. Interesting word is we are paying him 1m a year which is what we were paying Lucas Neill, it is a low risk gamble that will either pay off hansomely or this time next year huddersfield will have a new striker. Mr.Moyes has a good record in plucking players from lower leagues and bringing out the best in them. Lescott Cahill Baines etc so hopefully JB will be another bargain and if not then were not that much out of pocket since he was free. In Davie we trust.